Something has always been missing from my life. A hole that I could never seem to fill. When I accidentally turn a coven of witches into nightmares, I find out what that something is. And it turns out, I have a crap load of it. As a latent power awakens deep inside of me, I’m exposed to one of the most powerful and corrupt organizations in the magical world—the Mages’ Guild. Barely knowing a spell from a few swear words and luck, I won’t be able to evade them alone. And that’s when I meet him. The Rogue Natural. The best and most feared mage in the world. He’s dangerous, mysterious, and has a vendetta of his own. He is now the only thing between me and magical enslavement. I haven't read any of K. F. Breene's other books, so I came into Natural Witch with absolutely no context. Apparently this is a spin-off of another series of hers so maybe I'll check that out to get some more idea of this world she's created. Either way, I didn't feel out of place in story so it seems it can certainly stand on its own. Full disclosure: I hated the first several chapters of the book. I felt they were totally unnecessary and added nothing to the story besides telling us that Penny, our MC, had a natural affinity for magic (*winks at book title*). Basically, Penny decides to travel all the way to New Orleans to attend a magic retreat (???? keep in mind that magic is not public knowledge) and ends up jumping into an experienced coven of witches and turning them all into zombies. After that, the book transports back to Penny at home, living her quaint life and it kinda meanders there for awhile. It's not until Emery and Penny meet that things get interesting, and the story starts developing nicely. Emery is a Natural, which means that he can create spells using the elements around him and he doesn't have to think about it--he can just do it. Whereas other mages need to carry around encapsulated spells, he can just weave what we needs on the go. Emery has a lot of baggage--his brother was murdered, and he's spent the subsequent years on the run from the Guild (think: the Ministry of Magic, but, like, tinier and eviler) and has had nothing but revenge for his brother's death on his mind. He's taken his fair share of lives, and when he meets Penny he feels that there's nothing more to his life than to get revenge--he thinks he'll die trying, and that's fine with him. But, Penny throws a wrench in that plan, and as they work together and get to know each other, his feelings on wanting to die young start to change. Penny as a main character was entertaining, if not a bit frustrating at times. She had a very young and naive personality, but even then that doesn't explain her absolute carelessness for some of the things she did. No self-preserving person would do the above mentioned zombie coven thing, nor would they blindly trust a man they've just met. She grew up very sheltered, with an overbearing mother that didn't even allow her to curse (hence why Penny has a habit of making up innocuous curses like turdswallop when she's startled). She knows she's meant for something more than what her current life has to offer. Full disclosure: Penny as a character is the literal archetype for "The One" syndrome. Like, almost up there with Harry (of the Potter variety). Through her journey with Emery, Penny uncovers a deep and seemingly endless power within herself and since she didn't grow up with training like other mages, it tends to run wild. Because of this, Penny is massively OP (overpowered). I'm not really complaining about that, because I'm the kind of kid that grew up watching Dragon Ball Z where a bunch of men stood around screaming until they leveled up. OP female characters are awesome and I'm always here for it, I'm just highlighting it. For one thing, I just want to say that I'm very interested in this magical world K. F. Breene has created. It was a world embroiled in politics and subversion, not just about magic but about power and what that does to someone. Power is usually at the crux of these kind of stories, but something about the world in Natural Witch feels dirty and gritty with how every one is battling for more. Mages are constantly measuring each other up, making sure they're on the top of the totem poll in whatever group they're in. As I kept reading and the story unfolded, I found myself incredibly drawn in. Penny's relationship with Emery did feel genuine and like a necessary natural progression of the story. They had an easy going chemistry, and that's integral to how their magic works together as well. I like Emery specifically, because he's a respectful young hero. He doesn't hold Penny back, or treat her like a damsel in distress. He want to help her achieve her greatest power--something most men would feel emasculated by. I really appreciate reading a male lead who has no qualms with a lady love who just may be more powerful than him, given the right experience. It's refreshing. As usual, the romance is one of my biggest drivers to see where the story will go next. Overall, I'd recommend it! As I said, the beginning is a bit to slog through, but after that it's great! 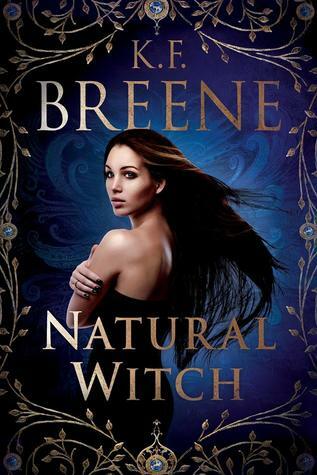 You can purchase Natural Witch on Amazon as a paperback, Kindle copy (Kindle Unlimited), or audio book! K.F. 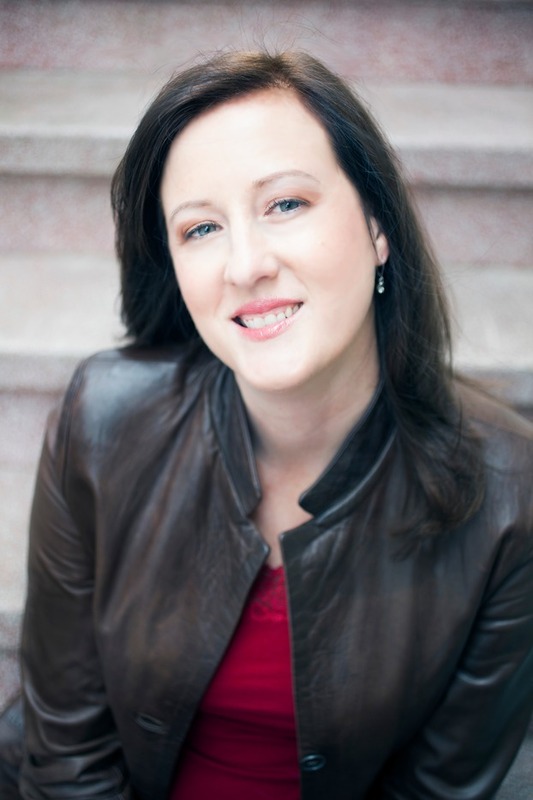 Breene is a USA Today Bestselling and Top 10 Kindle All-Star author of paranormal romance, urban fantasy and fantasy novels. With two million books sold, when she’s not penning stories about magic and what goes bump in the night, she’s sipping wine and planning shenanigans. She lives in Northern California with her husband, two children and out of work treadmill. Discussion: How Do YOU Choose the Books You Read? Ashley has read 13 books toward her goal of 100 books. Let's RE-Discuss: Why don't you like spoilers? Books received in exchange for review have a footnote in the post that notes them as such. All reviews are honest opinions of mine. Links to Amazon are referral links, and therefore do earn me commission if any purchases are made through the use of my links. Copyright © by Ashley Delgado. Simple theme. Powered by Blogger.